An owner brought her much-loved CD/cassette boombox to the last Hackney Restart Party of the year. The boombox was not getting any sound, in any mode or with headphones. So we went to the effort of prying it open, noticing immediately that the circuit board connected to the speakers had snapped in half. We called Andrew over, and his eyes lit up. Inspecting the board, he deemed it possible to repair. He sanded the green enamel off where the circuits had split, then glued the board together, carefully resoldering across the flat connections. Then he tested the circuits with a multimeter before reassembling and voilà. Lesson: circuit board repair is possible! In Camden, two sisters arrived with two broken game consoles. We were able to help the eldest fix hers, after some cleaning and checking of contacts. Sadly the youngest did not get hers fixed. But both had a unique experience, learning that not all electronics that “die” are dead! 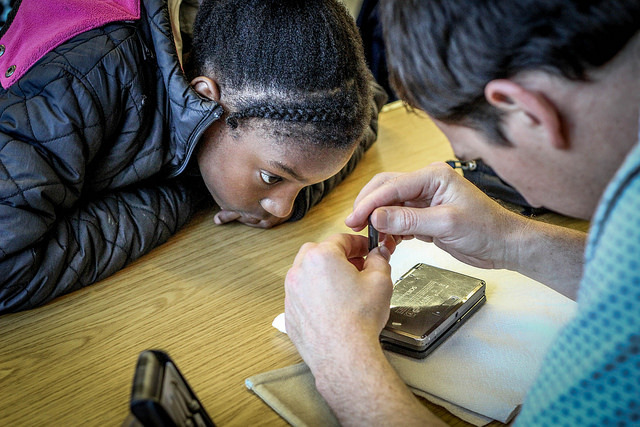 Lesson: Kids love repair – let’s get them interested and involved. Too often we give up on toys because we are time poor, or we don’t know where to turn. 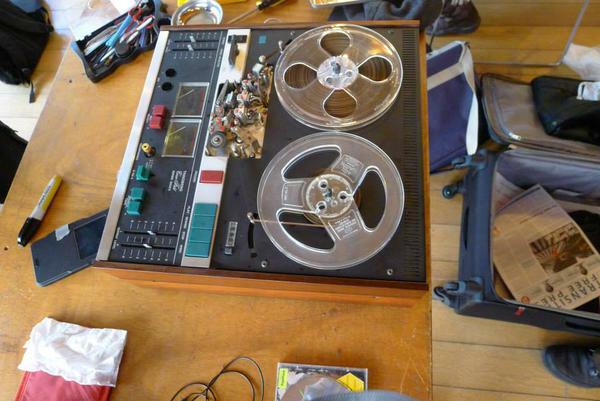 We had the pleasure of helping repair a venerable Tandberg tape deck at the St Edmunds Bury Restart Party. 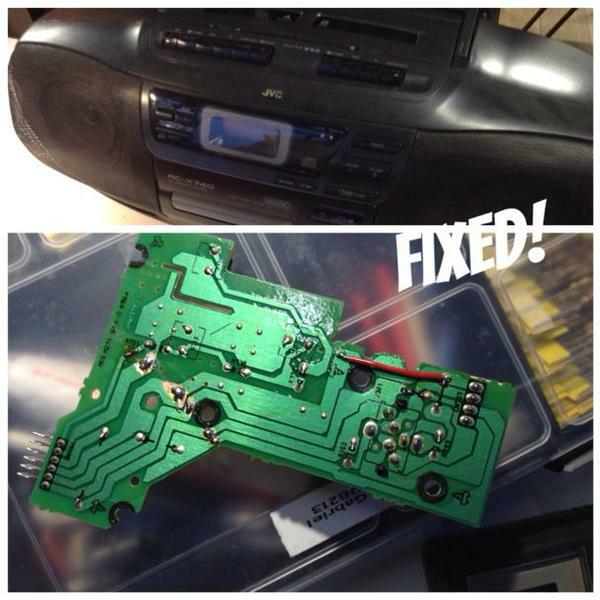 This was a mechanical fix, involving a lot of patience, care and the enthusiastic participation of the tape deck’s owner, since the part was well-congealed with grease and needed a lot of TLC and WD-40. Lesson: vintage stuff was designed to last and it can be a real pleasure to repair. 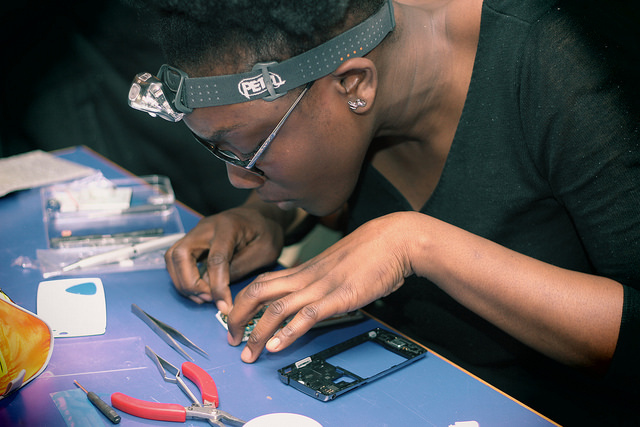 We helped a number of courageous phone and tablet owners to fix their own screens in 2014. These are NOT easy repairs! More than once, we ran into snags including breaking wifi, front-facing cameras or clips. Our top repairs were moments when owners of gadgets came prepared with quality spare parts, overcame their fear and used the repair foremost as an opportunity to learn – with the side benefit of saving money. Lesson: The best reason to replace a screen yourself is to learn something new. 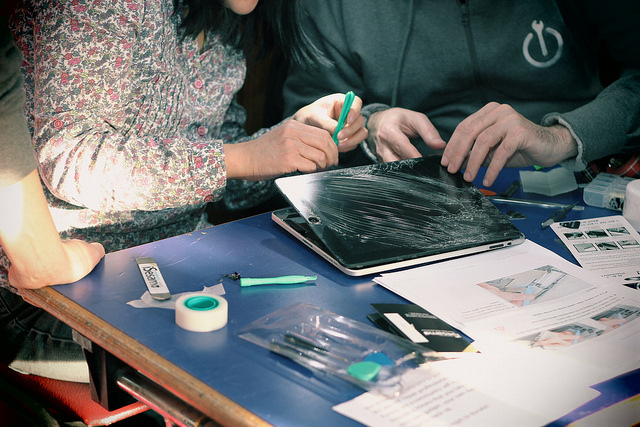 Two women saved laptops at our first Restart Party in Brixton last January. One repair involved switching out a keyboard – the replacement cost £9. Another involved the laptop owner overcoming her fear, disassembling the machine and carefully cleaning it. Lesson: We can do much more than we think we are capable of! Earlier this year, Restarters and participants at a Restart Party in Camden shared why they love our events. Three UCL Material Cultures masters students facilitated, and talented photographer Heather Agyepong took these photos.